A couple of days ago we posted about the new Milwaukee Tools Shockwave Matrix Carbide impact screwdriver bits. I’m still working on getting (begging for) more specific details to gain a better fundamental understanding of what makes these new Milwaukee screwdriver bits so good. What makes them capable of driving up to 2800 more screws than competing bits? 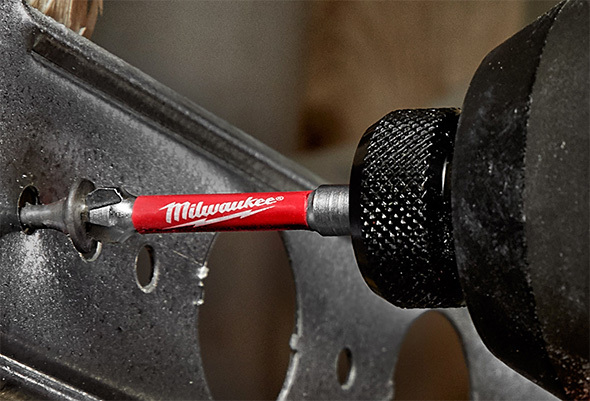 What makes them so durable that Milwaukee is offering a lifetime tip warranty (which I would presume covers breakage but not natural wear)? Are the new accessories game-changing? I’m a little rusty (get it?!) when it comes to steel metallurgy, so I thought to break things down. Seriously, steel metallurgy isn’t my specialty. I made all attempts to be accurate, but there might be something I’m missing or conveying inaccurately. The wear resistance of tool steel is strongly dependent on its hardness, although there are other contributing factors as well. Generally, non-impact screwdriver bits should be more wear resistant than impact-rated bits, although the differences are less pronounced now, due to manufacturing advancements and also torsional zones that lessen bit tip stresses. While non-impact screwdriver bits are more wear resistant (in theory, at least for mid- and higher-level products), their high hardness makes them more prone to breakage. In the presence of excessive torque, a non-impact screwdriver bit won’t deform, it will break. To better withstand impact driver energy, impact-rated bits are often tougher. There is an inverse relationship between hardness and toughness, leading to a balance of mechanical properties. If a bit is too tough, it will be more prone to deformation. Too hard? Brittle fracture will be a greater risk of problem. With the popularization of torsional zones, fastening accessory manufacturers are able to tip the scales a little, shifting the balance of tool steel properties towards greater hardness. In use, excess torque is absorbed as elastic energy and later released, decreasing the shock that could otherwise cause breakage. What is a Carbide, and What Does it Do? Carbides are chemical compounds that consist of carbon and another element. There’s tungsten carbide, often used in cutting tools, silicon carbide, a popular abrasive, and very many steel carbides. Cementite is an iron carbide (Fe3C). There are many types of carbides that can be present within steel. Vanadium carbide, for example, especially contributes to the hardness and wear resistance of tool steel, as does molybdenum carbide. Carbides in steel are formed and modified during different processing and manufacturing stages. Wear resistance is strongly related to hardness, and the type and properties of the carbides present in a tool steel’s microstructure. The microstructure of a material refers to its finer structure, often only visible with the aid of a microscope. Shown above is a dark-field optical microscope image of the cross section of reflowed solder. It was part of a project I worked on 15 years ago, and while not related to tool steel, hopefully it gets the point across. Here’s a Google image search for tool steel microstructure. Manufacturing controls, such as the heat treatment of tool steels, can lead to great microstructural variations in a material or product. The composition is very important, too. The type, distribution, and size of carbides in a steel or tool steel will greatly influence the properties of the final product. Carbide Quantity: Controlled by (or at least strongly dependent on) carbon content, the number of carbides will greatly affect the final product. Think about how much salt goes into baked goods, such as a cake. A grain of salt? Not enough for any impact. A recipe might call of 1/2 a teaspoon, a full teaspoon, and sometimes a tiny bit more. A tablespoon? That’s way too much, and you’re probably going to taste the salt in the final product. This is one area where tight controls depend whether a tool steel is hard and wear-resistant, but also tough enough to resist brittle failure (breakage). Carbide Size: The size of a carbide in steel is also important. There can be “too much of a good thing,” with larger carbide sizes contributing to less desirable properties. For instance, carbides that are too large can lower hardness of the final material, despite being harder themselves. Carbide Distribution: Are the carbides uniformly distributed throughout the material? The average hardness is not going to be as improved if there are pockets of higher carbides concentration. Other times, maybe that is desirable. Although I can think of examples where you might want or need localized hardening, I am not versed in the relationship between say laser-hardening and carbide formation, if any. Steel Components: There are different forms of steel, such as martensite and austenite, with the later being an undesirable presence when manufacturing high-performing tool steels and products. Grain Size: The size of grains in a steel matrix will also hugely influence the hardness and other mechanical properties of the material or product. A finer average grain size throughout the material will contribute to higher hardness. What Influences the Mechanical Properties of Tool Steel? Primarily? The microstructure. Okay, so what influences the microstructure? There will be too main factors. The steel composition, and heat treatment. The elemental composition will include alloying elements, such as molybdenum, chromium, and vanadium, among others, and of course carbon. In short, the processing and especially heat treatment of tool steels very significantly determines the microstructure of the material or product. It is also worth noting that different steels with different alloying elements require different heat treatment optimizations. So, with all that in mind, what do we now know about Milwaukee’s Shockwave Matrix Carbide Steel screwdriver bits? Unfortunately, nothing new, but hopefully all this background information clearly explains our guesses and presumptions, and brings everyone to the same page. “Matrix Carbide Steel” suggests that there are small carbides uniformly distributed throughout the steel matrix, which can really describe any commercial tool steel. 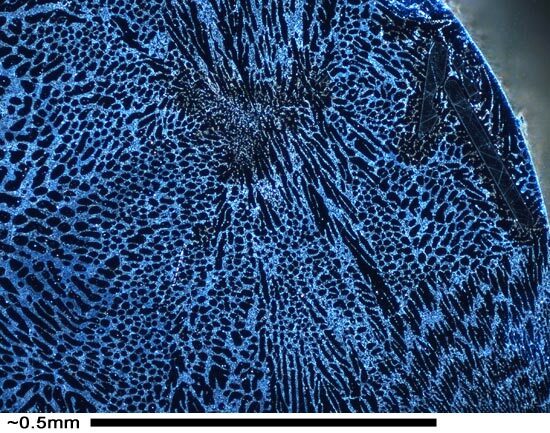 In order for the new Matrix Carbide Steel to deliver greater wear resistance, we should expect to see fine carbides uniformly distributed throughout the steel matrix. Compared to other impact-rated bits, we might see different carbides, smaller-sized carbides, a more even distribution, or maybe even other variations. The new bits are suggested to be harder as well as more wear resistant, given how they’re described, with improvements to shock absorption to reduce the potential for breakage without having to make the steel tougher (which would reduce hardness). So they could be harder due to microstructural enhancements, but also sufficiently resistant to shock breakage due to geometric improvements to the reduced-diameter torsion zone. Or, it is also possible that the hardness and toughness are comparable to that of other bits and accessories, but with microstructural enhancements that contribute to greater wear resistance, and this would more specifically involve carbide size, composition, and distribution optimizations. In my opinion, but keeping in mind that I am not experienced in tool steel or fastening accessories manufacturing, I think this would be more difficult to accomplish. 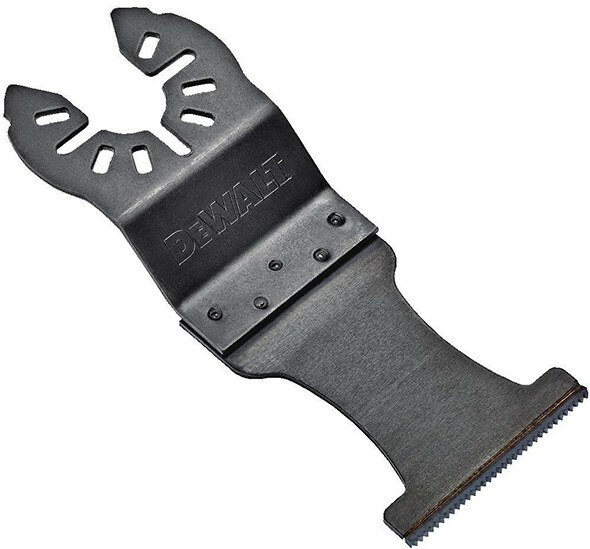 A third possibility is that the tip is modified to be more wear resistant compared to the rest of the bit, including the torsion zone and hex shaft, but that seems far less likely for products of this type. I’m not a metallurgist or very experienced in crystallography, but I think it’s more accurate to say that steel grain structure can exist in different forms such as martensite and austenite. Changes between these forms can be made through various methods of heat treating a part to get the desired grain structure form. I agree, mine wasn’t the perfect wording. Thanks for the suggestion and the added input, it’s a great way to put it! I changed it to say that there are different forms of steel. Depending upon how the steel cooled, whether it was oil quenched, ,water quenched, or air quenched, how big the piece/forging/casting (the latter almost always consists of ferrite/pearlite), depending upon what location the sacrificial material was taken from, and most importantly what type of steel is used. The above are all considerations of structure of steel. Grain structure is a little misleading however relatively correct. Martensitic structure is typically what most manufacturers are after, and is often commonplace among the obvious martensitic stainless steels. That was a lot to digest for the layman. Appreciated though – helps me understand the comments from the other thread. This is like when Daddy Pig explains something to Peppa and then she just has this blank stare. She asks if its magic, and daddy replies yes its magic. With the likes of (new) Craftsman and Ryobi having decent to good bits at pretty good price points they handle the majority of my needs. I do have some DeWalt and Milwaukee bits that I’ve picked up over the years but keep finding my way back to the lower priced decent/good bits since they are consumables. The bits are consumables so if Milwaukee has made these improvements and the bits are at a price point that will allow a noticeable cost benefit/break even then I’ll purchase. excellent write-up! way to break it down to all the variables that make up one of the tools we use daily, and enjoy the benefits of, but never put much thought into on this level. Anyone that does machining of any sort will also enjoy this. Metallurgy is so cool. Can’t wait to take it for college. At first I was like eh cause I already took a materials science for another major but a whole class on metallurgy? Yes please. I didn’t have the option, but if I did, I might have taken a metallurgy class too. I learned a bit from all the other classes I took, but a lot of what went into this post came from other sources, mainly steel manufacturers, scientific and technical papers, and general background knowledge. Milwaukee has quite a challenge to make a better bit then …Wiha Terminator impact bits ..( red impact zone ) …these are the most durable,best fitting bits we have ever used ..they lasts a very very long time..months of use. I have found the same, though I’m not a contractor so I don’t get to put them through the ringer like some people do. I have yet to wear one out working on projects. Interesting Wiha observation. And those very bits are “Made in Vietnam”. As are most of our US branded but foreign sourced Roll-around Tool Chests and the “Saturday” Pumas I’m wearing. Oh. And a bunch of 4’ wide fiberglass planters outside my window. Isn’t the connected world amazing? Carbide tips are used in metal and wood drill bits, the most expensive brad point drill bits are the ones with carbide tip , but it seems it needs to be ground twice as the carbide tips are always a bit larger diameter compared to the shank of the drill bit, I have searched a lot to find a brand which makes brad point drill bits with carbide tip and the tip diameter is the same as the shank but no success, I wanted to use them with Snappy hex shank drill bit collets but it is impossible as the diameter never matches the collet size, and it might be the same case with these Milwaukee carbide screwdriver bits, and if the tip is carbide then probably it would show a line which the diameter of the tip becomes a bit bigger. Let me know please if I am wrong. You’re right about cutting tools being made with tungsten carbide inserts or welded-on tips. But this post is focused on other carbides, of the kind that are formed within steel matrix material, such as vanadium carbide or molybdenum carbide. In the context of this post, carbide describes an alloying compound carbide that is formed within the matrix of a tool steel material. As far as carbide-tipped brad point drills, if in your shoes I would contact a specialty supplier, such as Carbide Processors, or a manufacturer, such as Southeast Tool. It looks like they only have 1/2″ shank carbide-tipped bits, but they can quote you on custom bits. It might be pricey, though. I know Tungsten Carbide is used in cutting tools mostly, I meant the same type of carbide you meant, as you said ” A third possibility is that the tip is modified to be more wear resistant compared to the rest of the bit, including the torsion zone and hex shaft, but that seems far less likely for products of this type.” From the photo I can say the bits are CNC machined most probably, according to what you said the tip can be made of different alloy, that is what I understood from what you said, I don’t think that the modified tip would be kind of heat treating thing, considering the name they chose for these bits. I did write about new DeWALT cordless sand machine also in another post that I have found a new photo that the battery position is different compared to the ones we have seen till now. I am confused now, which one is the one we will get after three -four months? Please comment. While an interesting possibility, I don’t think that’s likely. Even if it achieved the desired properties and with no complications due to the joint, I think the costs would be excessively high for a product of this type. Tungsten carbide is also so hard that it can be brittle. Regarding modification, I mean maybe a localized environmental heat treatment variation, or localized laser hardening, or something of the sort. I responded to your comment about the sander. I don’t know what’s up with that photo, but my production sample has a horizontal battery mount. This is pretty much what I do for a living (professional metalworker). I was hoping for more discussion on this, mostly just because it interests me. The confusing part of this is usually the high impact tool steels and the high carbide tools steel series are each a bit of a different family, maybe cousins, at least as far as I’ve seen in industry. Point being, is *usually* a D2 or an S7 grade would be picked for somewhat different applications. That’s what has been confusing me. Are these impact-rated bits that have been been made more wear resistant? Or are they harder and higher wear-resistant bits that have been made tougher so as to withstand high shock torque? There’s no way to know without either insights from Milwaukee, or closer examination and testing. I’m guessing “Milwaukee” will not be particularly forthcoming with clear answers. They know full well their buyers and fans are joined here by their competitors too. I always just assumed the following. If the tip breaks, it was my fault (impact setting too high), if the tip wears or gets mangled, its my fault (not enough downward force to keep good contact), if the screw tip strips its my fault (not enough downward force to keep good contact, or not stopping when it bottoms out), if the screw breaks – its my fault (not driving a pilot hole). Maybe I can switch to blaming the bit. Agreed. My presumed downfall(s) exactly. But as a perpetual optimist I’ll still try anything that might offer a better experience ROI. Lately though I’ve been very pleased with the existing Milwaukee impact generation and in particular the red hard cases. Looking forward to an honest review of the new bits. Generally, when I think of carbide, the first word that comes to mind is ‘brittle’. it seems like the exact wrong material to use for impact resistance, as anyone that’s had a solid carbide bit shatter when dropped might know. I now only buy Makita Gold tips, and a 5 pack lasts me a year. Before, I went through all the rest by the hundreds. I wonder if your experience can be replicated by others while using different drivers, driver holding technique and/or different work materials? It’s good to know that you picked up what I put down. Thanks for the insightful information on steel. As you pointed out, carbide is a very big word and is used very loosely when it comes to tool applications of this nature and the information that they provide for the purposes of advertising. Although I won’t be buying any of these or any fastening bits anytime soon, (I have a cigar box full of every kind of bit known to man) I am very interested in if there’s any proof in Milwaukee’s pudding. There’s a lot of questions that they should be able to answer like how many different competitors bits were tested and which types of bits were used in the testing process and what types of fasteners were applied to which types of materials and exactly what tools were used to be able to stake the claim that these can in fact drive in or up to 2800 more fasteners than everyone else. Let’s see if they can put their money where their mouth is. I don’t know about Milwaukee, but at least one of their major competitors has their legal team approve of any competitive marketing messages, such as “drives up to 2800 more fasteners…” I would imagine that Milwaukee also has such claims approved by their legal team. They would have to have the data and test results to back such claims, even if the data and test results themselves aren’t publicly shared.